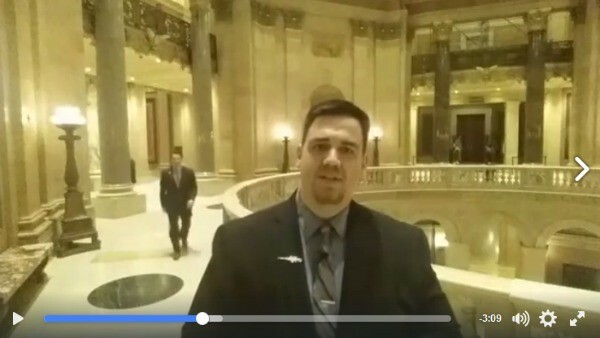 Thursday night the Minnesota House leadership crammed through House File 3, the DANGEROUS ID bill. In spite of your calls and emails opposing DANGEROUS ID, and strong arguments against it on the House floor, House leadership forced it through with a vote of 72-58! For all the details of the vote, please click on this link or the image below and watch the live video update from Political Director Ben Dorr who was on scene for the vote. From here the Dangerous ID bill will be sent to the Senate for further consideration and we will be fighting it every step of the way. We will have more action items for you when the time comes but for now, THANK YOU for all your activism and let’s keep up the fight for our Second Amendment freedoms!